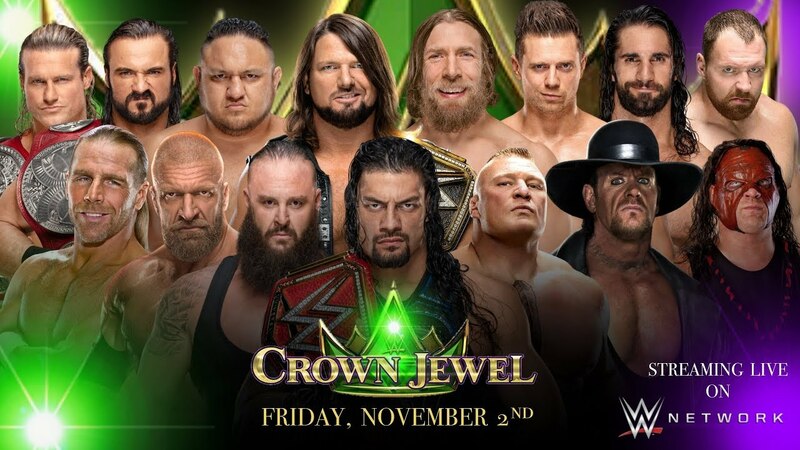 Sports Illustrated‘s Justin Barrasso has new piece on the controversy surrounding WWE’s Crown Jewel event scheduled for Friday, November 2 in Riyadh, Saudi Arabia. We’ve noted how both Republican and Democratic Senators have expressed concern over WWE’s relationship with the Kingdom after the recent disappearance of Washington Post columnist Jamal Khashoggi, a Saudi journalist and US citizen. The Turkish government claims they have evidence of Khashoggi being kidnapped, tortured and murdered by the Saudis in a state-sponsored crime. SI reports that under the condition of anonymity, multiple members of the WWE roster have expressed discomfort with the idea of performing in Saudi Arabia, especially considering the past human rights abuses in the Kingdom. WWE officials recently confirmed to the media that they were watching the situation but it appears that the event will go on as planned. Dave Meltzer noted on Wrestling Observer Radio that it would take action from the US State Department or President Trump to stop Crown Jewel from happening. SI points to how the event will forever be tainted, if it happens, and how two big moments would be associated with a tainted event in the history books – WWE Hall of Famer Shawn Michaels coming out of retirement and the first WWE Title match between Daniel Bryan and champion AJ Styles, plus the WWE World Cup tournament. Crown Jewel is the second event under a 10-year partnership between WWE and the Kingdom. WWE did discuss back-up plans when the controversy began but Meltzer reports that WWE officials are “bound and determined” to go through with Crown Jewel for fear of losing the deal with the Saudis. It’s believed that the first show under the deal, last April’s Greatest Royal Rumble event, brought in somewhere in the neighborhood of $40 – $50 million for the company.